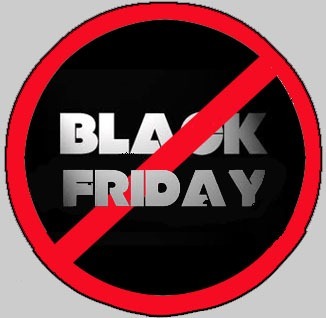 I promise here and now that I will not go out and shop anywhere in the US on Black Friday this year. I will not change my mind, I will not compromise on this. Of course, I may not be ABLE to shop in the US on Black Friday this year, so maybe this isn’t much of a sacrifice on my part. I’ll reveal why this is more of a joke later, though it does still seem better to me to stay home with family rather than go out and bother other people at US stores today. This entry was posted in Uncategorized and tagged black friday, black friday boycott, black friday shopping. Bookmark the permalink.